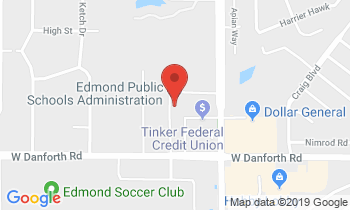 Edmond Public Schools and the Edmond Association of Classroom Teachers (EACT) have come to an agreement on teacher raises which will provide first-year teachers a starting salary of $40,000 per year. Last year, first-year teachers in Edmond earned $34,616. The legislated $5,001 salary increase for first-year teachers, plus additional funds allocated by the district pushes the starting pay for first-year teachers to $40,000. The minimum starting salary as provided by the state for 2018 – 2019 is $36,601. The total cost of the certified compensation package over and above the legislated pay increase is $2,405,000. Edmond Schools also pays the entire retirement contribution for all of its employees. During negotiations with the Support Employees of Edmond (SEE), the district added $609,000 in local funds to the legislated raise of $1,250 resulting in a $1.21 per hour raise for all support employees in addition to a step raise and other salary schedule increases. In all, the district provided an additional $3.7 million in employee compensation during the summer negotiation process with both EACT and SEE. Edmond Schools is able to add to employee compensation this year due to a solid fund balance, projected funding increases based on enrollment growth and continued conservative spending practices. “The district and Edmond Board of Education is committed to supporting and rewarding all the dedicated employees within our district and we believe that between the compensation increases provided by the state and the additional local funds, we have solidly met that commitment this year,” said Towne.